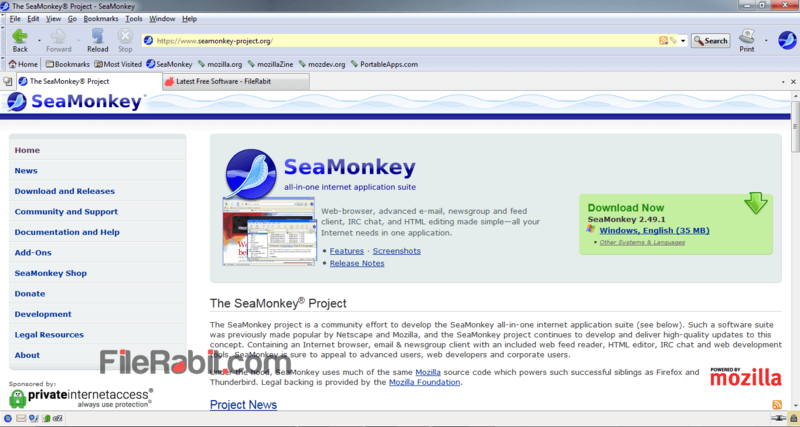 SeaMonkey is simple, faster and professional internet browsing and email management software that allows multiple tabs, 3rd party add-ons, customizing interface and easy HTML editing tools. The race among the web browsers is not going to be stop, thus there are dozens of popular multi device supported internet explorers. However, each of computer user demanding for speedy and responsive web explorer. SeaMonkey is one of fast, multi featured, multi functional and email management application. Sending, receiving and managing multiple email accounts at once without having Microsoft Outlook or Thunderbird. Read rss feeds, compose emails, visit websites, download multimedia with fast internal manager, add external add-ons and more. 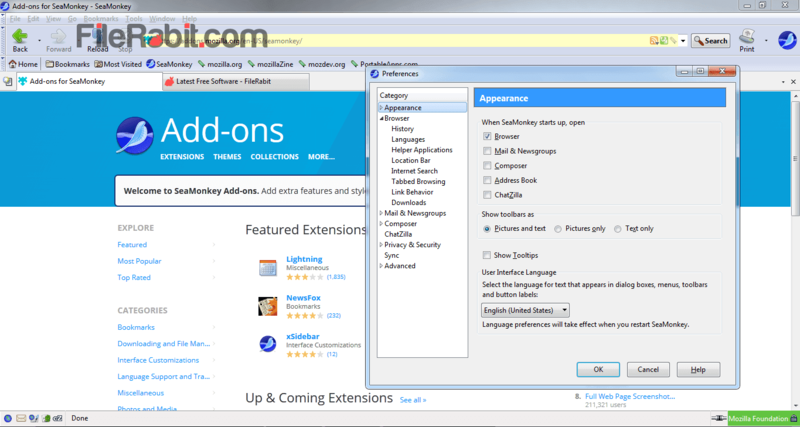 It offers HTML composer or HTML editor works like Windows Notepad or Notepad++. However, the interface is customizable and user is allowed to change with custom skins. It includes internet relay chat features also called ChatZilla which is used to start CSS stylizing as well as HTML coding with pro features. The browser itself a multi suite application that is already qualify for international web standards. Advance security settings, mail, news group, chat zilla, composer, address book, history management, download manager, external 3rd party extensions, remember email, passwords and other credentials, bookmarks, multiple language support, sync data and more famous advantages as well. Manage bookmarks with creating folders, drag & drop tabs in it, customize the title and delete unnecessary bookmarks. 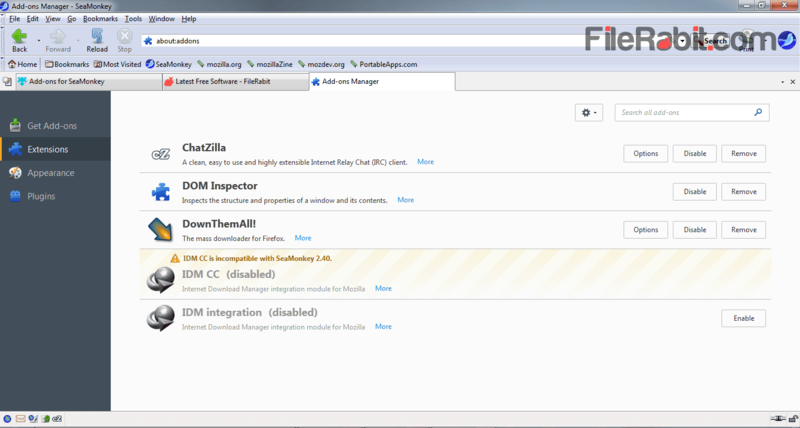 Add multiple tabs at home page so when SeaMonkey will be opened, all the target tabs will run automatically. This browser was developed under the hood of Mozilla Foundation so all the add-ons / extensions of Firefox will be supported. Speedy and will render webpage in miliseconds.